Liquid Membranes are the ideal waterproofing product to seal and make watertight "busy" industrial & infrastructure surfaces - concrete, metal - new and existing. 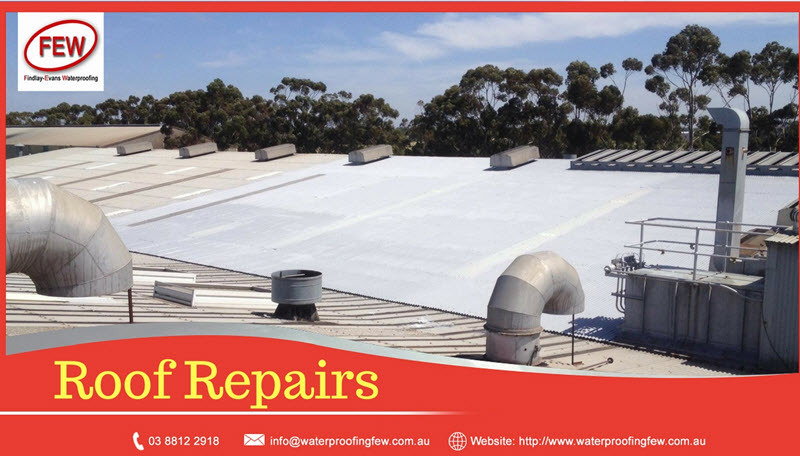 Being a spray-on waterproofing method, Liquid Rubber Membranes can be applied around and up commercial and industrial roof surfaces. 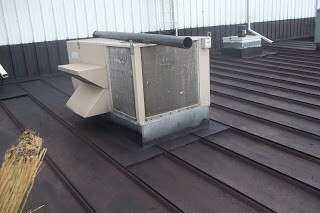 Liquid waterproof coatings seal around all penetrations, up-stands, ducts, cable trays, air conditioning & cooling towers, TV & mobile phone responders, satellite dishes, solar panels, etc. 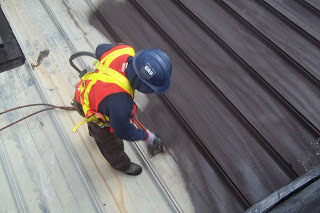 Findlay-Evans Waterproofing use Liquid Rubber spray or paint-on application to protect ferrous metal structures subjected to water and/or chemically aggressive environments. 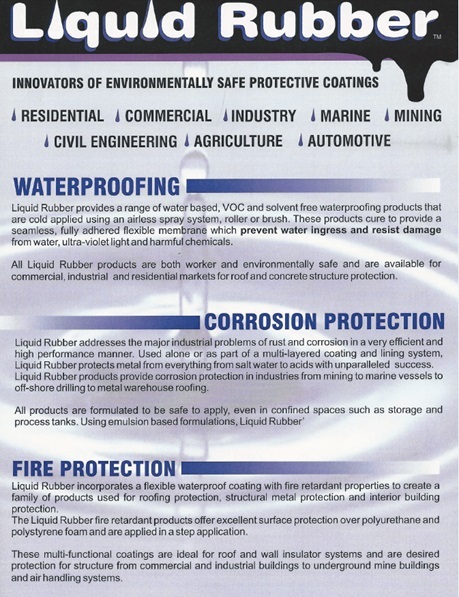 Liquid Rubber membranes - specially designed coatings providing exceptional corrosion protection. instant-set, seamless & flexible membranes with chemical and abrasion resistance. Suitable for safe applications even in confined spaces such as storage and processing tanks. Also with resistance to cracking, aging and de-lamination. Great alternative to conventional epoxy, urethane or solvent based protective coatings. No Primer is required. 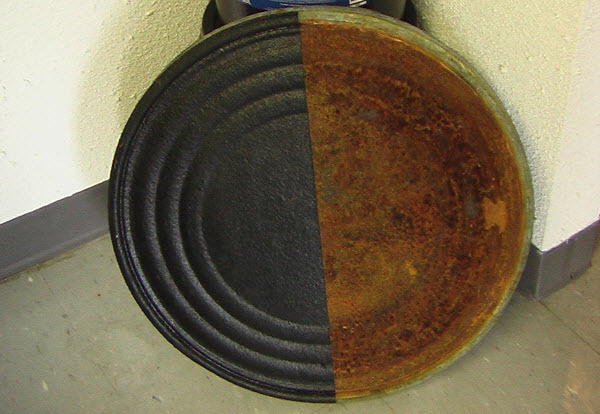 Unlike many other protective coatings, Liquid Rubber can be applied directly over lightly rusted metal. Shipping containers provide an affordable structure that can be modified in various ways creating a multitude of uses. A city cafe, situated in inner urban Melbourne, was created out of shipping containers – quite an unique waterproofing project. 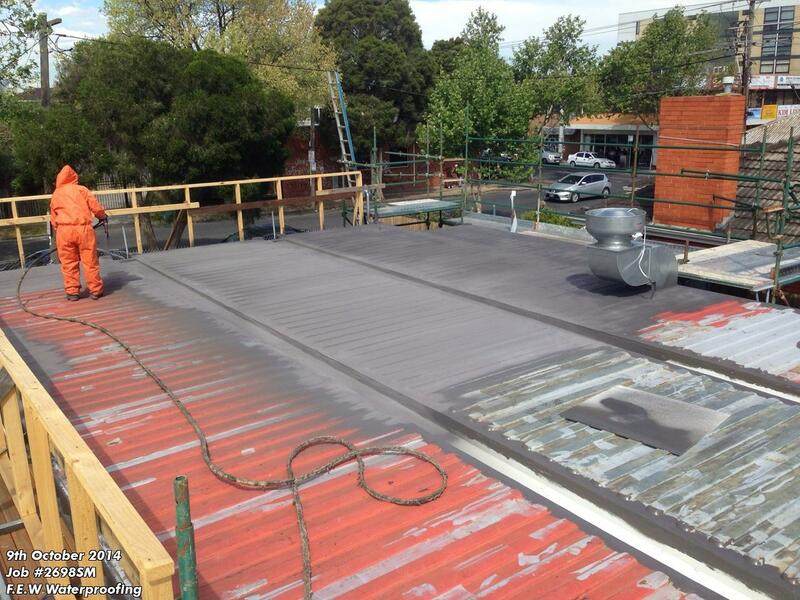 Findlay-Evans Waterproofing provided a Liquid Rubber waterproof membrane for these three shipping containers that were being transformed into a trendy urban cafe. 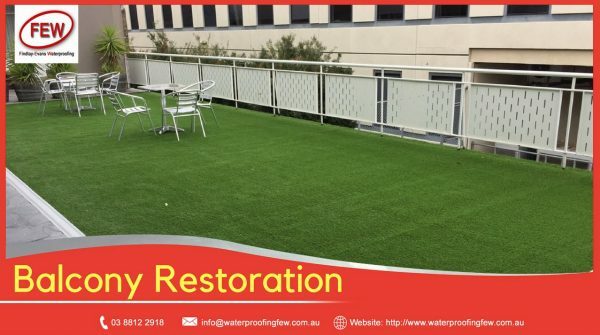 Balcony Membranes - new & remedial commercial balcony restoration. 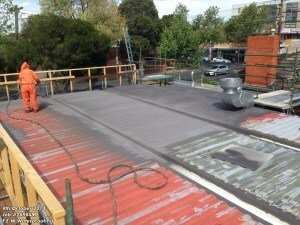 Liquid Applied Membranes (LAMs) are the new generation of environmentally friendly waterproofing systems. These are hard wearing, seamless, monolithic and flexible waterproofing systems that can also be structurally reinforced. Liquid Membranes are capable of resisting UV rays, Salts, Pollution & withstanding “potable” (standing) water. 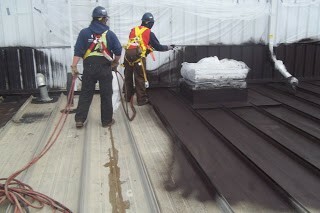 Liquid Membranes are also anti-corrosive, rust proofing & encapsulates asbestos. All work is supported by company, manufacturers' warranty, OHS compliant and applied by Certified Applicators. 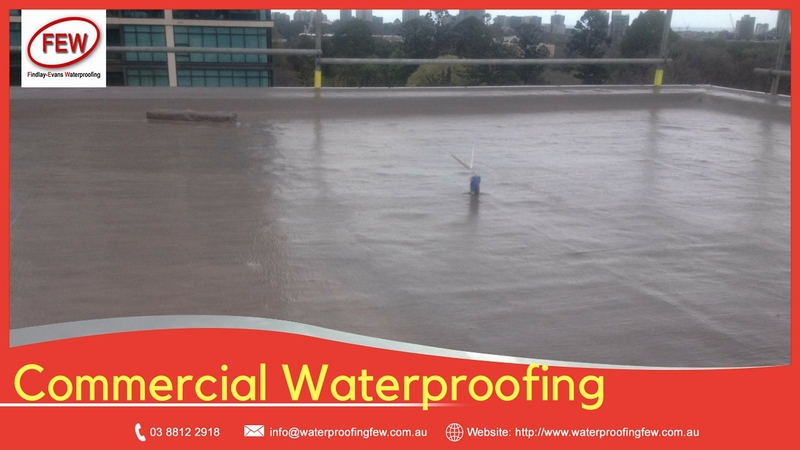 For technical specifications and further information regarding Liquid Rubber Waterproofing systems refer to: www.liquidrubbermelb.com.au. Satisfies all OH&S issues and compliance. Avoids the use of adhesives, heat welding used for torch-on & older methods of waterproofing. Unaffected by a range of acids, alkalis and water borne salts. 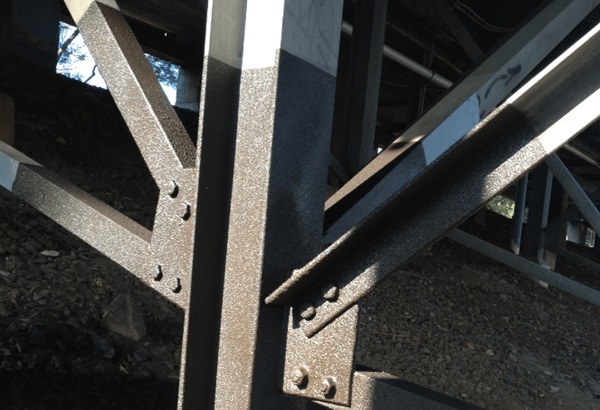 Seal, protect & provide anti-rust protection for metal surfaces.